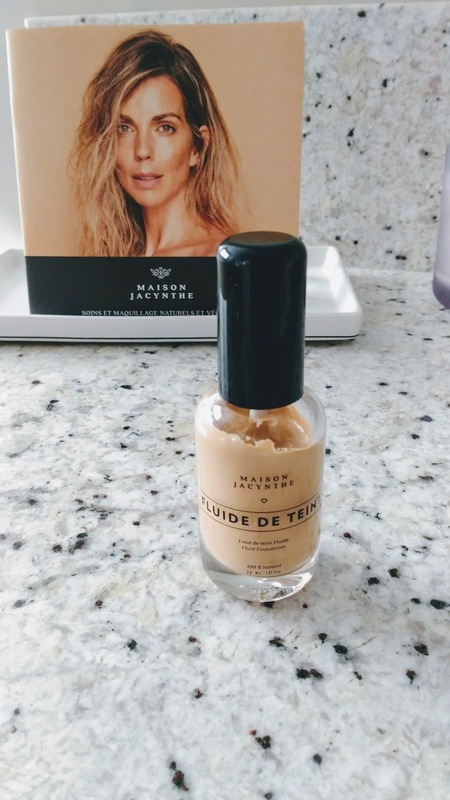 Maison Jacnynthe is a Candian skincare brand that I really love. 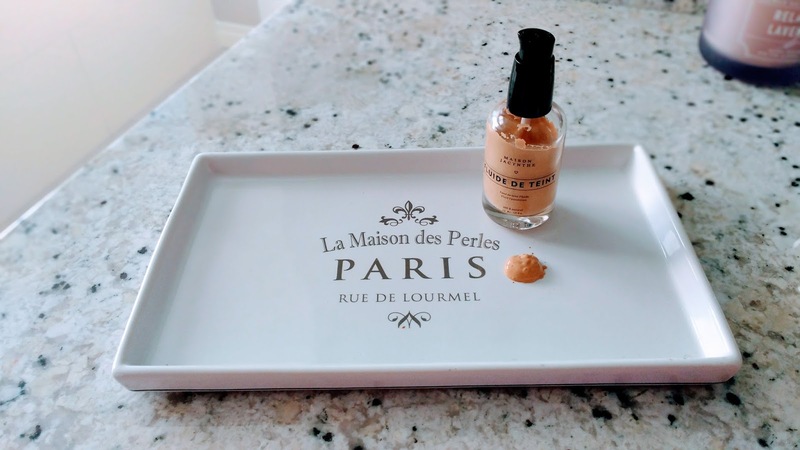 I first wrote about their skincare line and then about their makeup line in 2016. They have since added a foundation to their range. Ingredients; water, glycerin, octydodecanol, octyldodecyl stearoyl stearate, polyglyceryl - 10 stearate, oleic polyglycerides, benzyl alcohol, tocopherol, magnesium aluminum silicate, fragrance, microcrystalline cellulose, coffee arabica seed oil, borage seed oil, cellulose gum, dehydroacetic acid, coffee seed extract, linalool, cellulose, citronellol, cinnamyl alcohol, limonene, eugenol. Paula's Choice is the first website I will go to when I want to check out what ingredients are in a product. As you can see with this foundation, many of the ingredients are pretty good. The only downfall is the amount of fragrance added. It had no effect on my skin though. When I got the foundation it was summer and I got quite a tan this summer so my usual Nars foundation was too light for me. In this range, there are five shades available. Hopefully, in the future, they add more shades. I thought that 1. porcelain would be way too light so I went with 2. sand. Unfortunately, the shade sand was at least two shades too dark for me. When I put it on my face, it looked like orange fake tan...kind of giving off Ross Geller vibes. 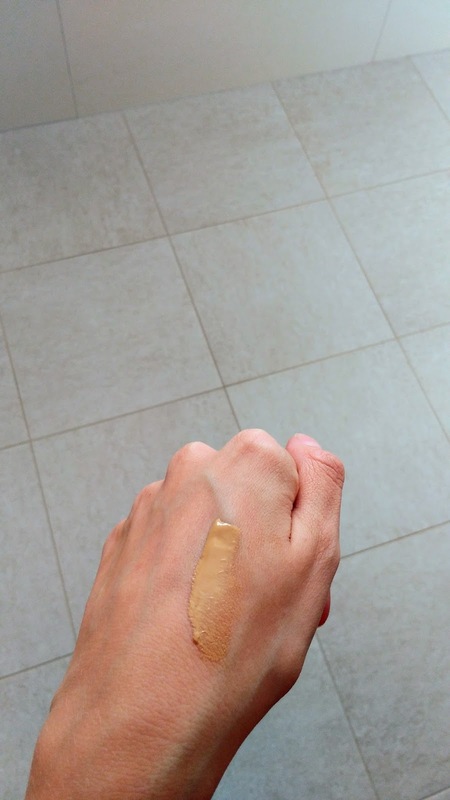 No matter how much I blended the product, you could see that it was completely off for me. Aside from seeing what the product was like, the shade was unwearable. Shade problem aside, I LOVED the feeling of the foundation. I am not sure if it is cause I am getting older but I am starting to lean towards more light foundations or tinted moisturisers. I like to be able to see some skin through whatever I wear. 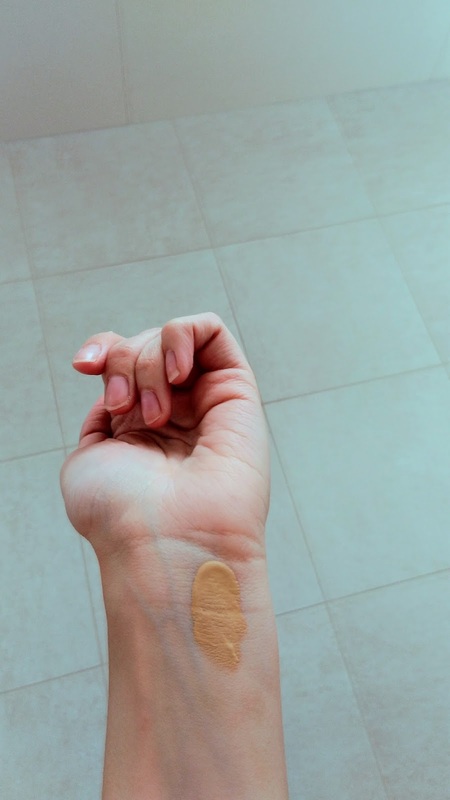 This product is really light so if you want a heavy coverage, it won't be for you. The product itself was easy to blend with my Beauty Blender. 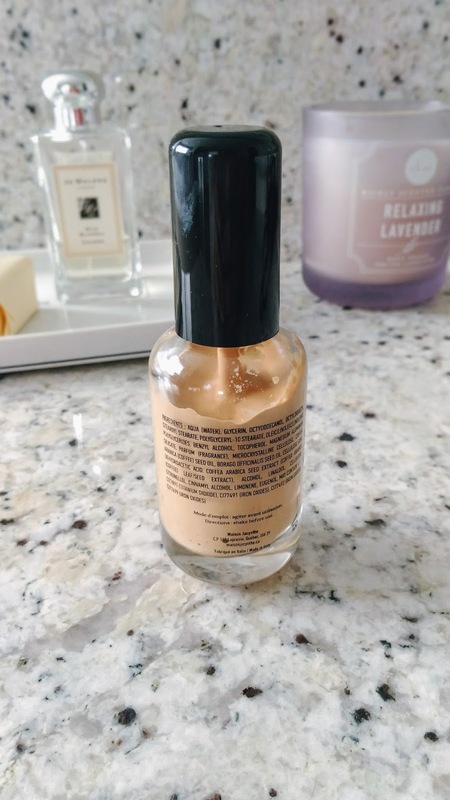 When applying this foundation, I found that a little went a long way. After it was blended, it left a natural, dewy finish which was beautiful. 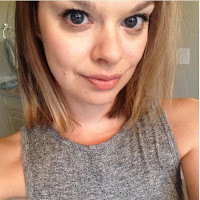 If it wasn't for the shade issue, I would have worn this foundation every day in summer! As most of you will know, I came over to Calgary, Canada, in February 2015 and during the time since arriving and now, I haven't really gone into great detail about my 'journey' to being able to stay here legally. If you follow me on Instagram, you will know that Dan is Canadian. He and I met in Aberdeen while he was an Expat and before we knew it, it was time for him to move back to Canada and well... I came along with him. As of February 2nd, 2017, I am officially a permanent resident of Canada. Getting to this step wasn't a walk in the park and was a lengthy and stressful process. Being a permanent resident means I am legally allowed to reside in Canada. I have a right to work, study, access health coverage and eventually become a Canadian citizen. You can read a more in-depth definition on the government website. As you can see from the above photo, the application package was huge. 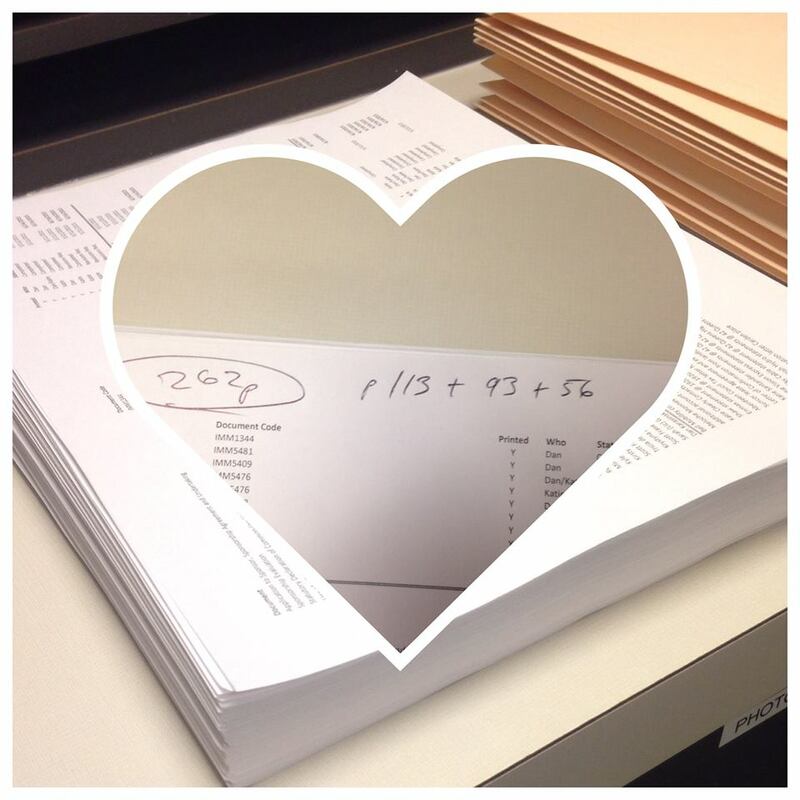 262 pages total for ours. We applied for Dan to sponsor me in July 2015 through the Family Class Sponsorship program. Since we are not married, we applied under common-law, which means we had to be living together for one year. Being common-law, you have to provide more evidence to support the genuineness of your relationship as you don't have a binding document (marriage certificate). Our evidence consisted of; joint bank accounts, utility bills under both of our names, photographs, travel documents of our vacations, letters from family and friends, comnon-law declaration...there was so much that I can't remember it all. We literally put our whole life and relationship on paper. We tried to gather as much evidence of our relationship and us cohabitating for a year as possible as we didn't want to have to have a 'relationship' interview. Those interviews can happen to people if the officer processing the application is doubtful of the relationship. Thankfully, we didn't have one and in our GCMS notes the officer said that there was "ample documentation supporting a genuine relationship." When we applied, there were two options. Inland or Outland. (IRRC recently changed the spousal sponsorship process so what we went through might not reflect the new process). This process can take longer and your application is processed within Canada - ours was in Mississauga. With this option, you are entitled to apply for an Open Work Permit and you are legally allowed to reside in Canada until your application is processed. However, if your application is declined you can't appeal. Also, you are advised to not leave Canada because if you do and the border officer denies you when you try to re-enter, then your application is voided. There are some cases of people travelling and being ok but honestly, we didn't see the worth of risking our whole application being voided for a vacation. Your application is processed at your local office. The UK's is London. You can come over to Canada but you do not get an Open Work Permit, meaning you are in Canada on a visitor visa which you have to extend every 6 months. With an outland application, you are able to leave Canada, as your application won't be affected if you are denied re-entry as it is being processed back in your home country. For London, the processing time can be quick. We went through the Inland route. WHY (you might be asking)?! With Dan having to come back for work, it was the best-suited option for us. And back in 2014 when we were weighing out our options, the processing time for Inland and Outland through London were around the same time (16? months). However, when we eventually got to Canada and applied the processing time for Inland had jumped up to 26 months. Luckily for me, I received my work permit two months after we submitted the application, it can take up to four. Even though I had a work permit, I suffered terrible anxiety attacks throughout the whole application process. Essentially, our life was on hold, I felt like I was stuck in limbo because we couldn't travel outside Canada for two years. We were landlocked. And I know we made that choice but until you are in it, you don't realise how tough it is. The whole process felt like it was never going to end. The communication from IRCC is very sparse. Our communication timeline was; July 2015: courier confirmation of delivery, September 2015: Open Work Permit confirmation, February 2016: AOR received, December 2016: Approval of principle applicant email (AIP) received, January 2017: Confirmation of Permanent Residency Interview email received. You are also meant to get a Sponsor Approval letter but we didn't receive one. There is a portal that you can log on to see information about your application but throughout the process mine only updated three times (application received, medical results received and decision made). We couldn't believe it when we finally got our 'landing' appointment letter in January! 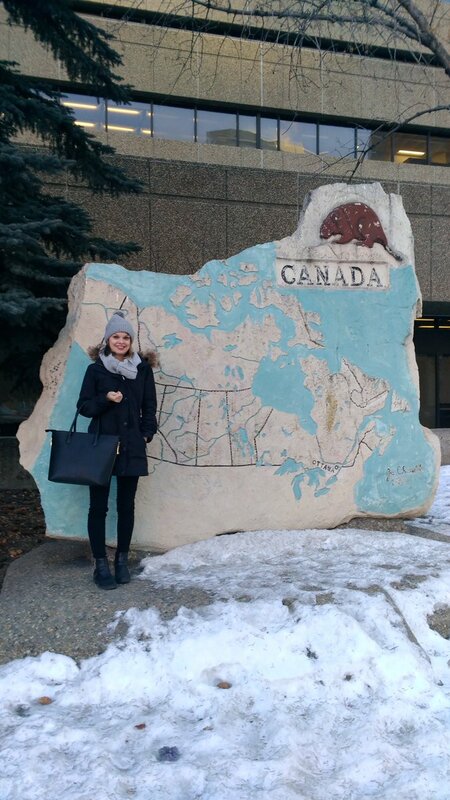 Our appointment was in Calgary at the beginning of February and it was a really smooth process. We were called into the "interview" room and the lady was very friendly and asked us both a few simple questions such as if I had ever been denied entry to Canada or had I been charged with any crimes. No to both and they also have a copy of my police certificate on file so they are not just going by my word, haha. I then had to sign a few documents and then we were on our merry way. Overall, the appointment only took about 10 minutes, we couldn't believe how fast it was! I have to wait for my permanent resident card to arrive in the mail (around two months) and then I am free as a bird and we can travel. We can't wait to travel and for me to visit back home. If you follow me on Pinterest then you will have noticed I have been pinning locations. Have you ever moved across the world? Do you have any questions about the process?